Loire wine comes from the Loire Valley in France, a large wine producing region ranging from west of Burgundy all the way to the west coast of the country. It produces a huge range of wines from several sub-regions and grapes. Loire Valley wines vary from simple, crisp whites, like Muscadet, that are great with seafood to hearty red wines like Chinon and Bourgeuil. It produces both bone dry table wines as well as super-sweet dessert wines. Here we will post Loire wine tasting notes of wines we have enjoyed lately. Check back as we will try to add more often! 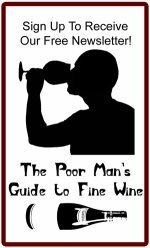 There are also lots of Loire wines reviewed regularly on my wine newsletter, The Poor Man's Guide to Fine Wine. For more introductory info about various wine regions including the Loire valley, see our Wine Regions page! This was served blind in a group of white Burgundies. Initially this gave off a rich creamy aroma almost like creamed corn, wool and talc dusted flowers. I've noticed that similar aroma with other aged Baumard Savs, the 97 in particular. Quite pretty and with air this continued to expand with the almost Riesling-like fruit showing itself with hints of petrol. In fact, this kept changing and a new nuance showed its face with each swirl with earthy truffle aromas coming in later. The mouth here is rich and powerful with rocks and honey and a very mineral, etched finish. Deep and long yet never heavy. I thought this was delicious but I brought it to this tasting so I guess my vote doesn't count. Everyone else at the table thought it was Riesling, maybe Alsatian. This is really the quality price ratio winner of the evening considering that this basic Sav is still only around $15 to $20 on release! This Loire wine comes from a little known appellation that makes a small amount of both red and white wines. This is a red Loire wine from the even lesser known grape of Pineau d'Aunis from very old vines, over 80 to 100 years old! Known best for their Jasnières, a white appellation made from Chenin Blanc, we had no previous experience with this wine. Initially kinda strange aromas of green leafy herbs, later becoming cedar wood. As it sat, notes of bitter chocolate and spice came out. In the mouth this is rich and tart with red and black fruits and an intense structure and minerality. Quite fleshy and later flavors of black currant and bitter chocolate came out. Should have good aging potential but we don't have much experience with Pineau d'Aunis to know if it will age well. 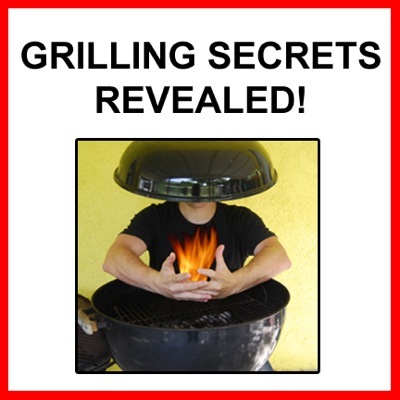 Its power, acid and tannin says it will though. Very interesting but very different. Savennieres is a small appellation in the Loire which produces mostly dry wine from 100% Chenin Blanc grapes, known as the Pineau de la Loire in the area. It is a fascinating appellation which can produce some of the most thrilling dry white wines in the world. While they tend to start out fairly austere, full of minerals and acid, they expand over time to be quite rich, deep and complex. In fact these are some of our favorite white wines to age for extended periods of time. 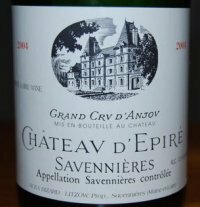 Many years ago (over a century) Savennieres was considered one of the best cru in all of France, up there with Montrachet and others, but for whatever reason interest has waned of late even though the wines can still be stellar. Therefore they can be quite a good deal, not nearly as expensive as other great vineyard sites in France, some of the best bottlings still being under $20-30! Damien Laureau is a relative newcomer but has been making waves since starting his domaine. 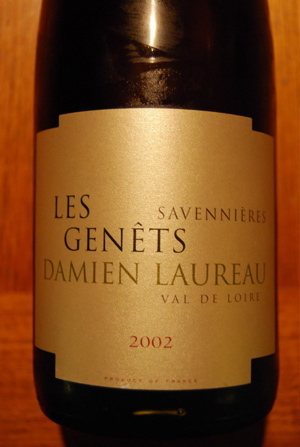 This cuvée (blend), called "Les Genêts", is from his younger vines and is bottled without oak aging. He makes one other bottling from older vines which is aged in oak. The color of this wine was a rich, golden yellow and led to a rich, almost spicy nose of honeydew mellon, papaya, lemon seeds, white stones, wool and a hint of botrytis ("noble rot"). This is already showing some evolution and shows very well, already complex and very pretty. This enticing nose leads to a round and oily textured mouthfeel yet has good grip and an acid and granite-like finish of minerals. Not quite of grand cru depth and power but this is quite impressive from his younger, and "lesser", vines. This should age nicely for at least a few more years! This is definitely a domaine to watch and we look forward to trying his 04 and 05 Loire wine Savennieres. If Laureau is one of the newcomers, then d'Epiré is one of the old guard, making Loire wine for for centuries! They make special bottlings for Kermit Lynch, their American importer, which are quite good. They include a regular Sec as well as this special blend which comes from the oldest vines in their best plots, next to the fabled Coulée de Serrant. This 04 is an outstanding young example. While many prefer the 05 vintage in Savennieres for its riper fruit, the best 04's have a more classic acid and minerality profile which really make them have a great intensity and completeness to them. This example had a heady nose of ripe fruit, earth, truffles, and minerals. It showed layers of complexity that unfolded as the wine sat in the glass. It was really a nose you could get lost in. Beautiful. Our good friend, who lives in Champagne most of the year and is writing a book on the region just sat with his nose buried in the glass for many long minutes before even tasting it! The flavors are powerful and long. This is the real deal. It is very young but shows great breed and potential for the future. We should buy more of this! 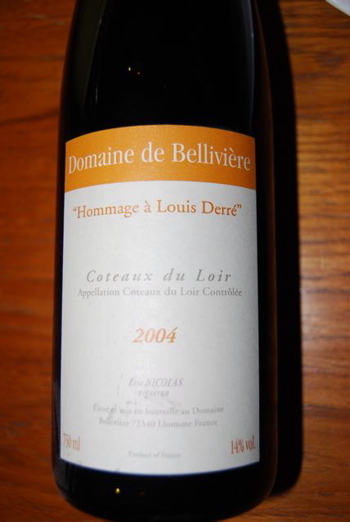 This is the "regular" bottling of the above domaine which makes excellent Loire wine. I served this wine blind at a wine tasting that was predominately Burgundy wines. 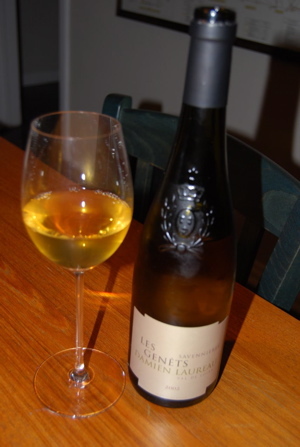 Most people guessed it was a good 04 Puligny-Montrachet Combettes or Perrieres or even Meursault Perrieres. Those wines can cost 10 times or more than this wine! This is the 05 which a more honeyed nose of chalk and stones with some bright pink grapefruit-like aromas emerging as it sat. The mouth is bright and intense with a mineral-imbued acidity. Young, linear and intense right now, this is promising and should just get better. Excellent potential and at the low price this goes for this is an awesome quality to price ratio! Check back as we will post more Loire wine tasting notes periodically as we are fortunate enough to taste them! Done with the Loire wine tasting notes?